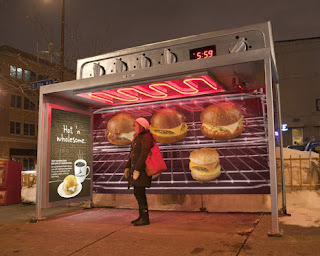 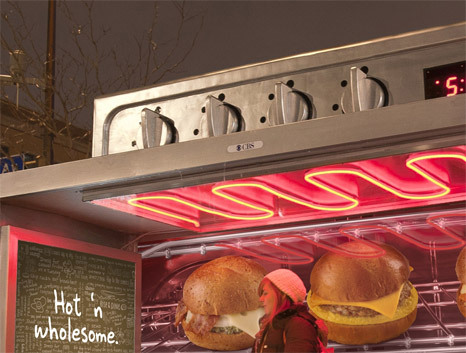 a coffee shop in America not just put a poster at the bus stop inMinneapolis, but changing the shape of a bus stop to such abake oven complete with buttons. 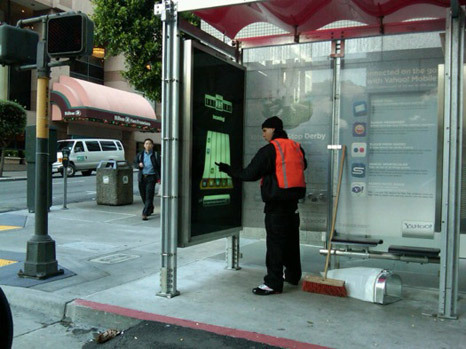 20 pieces can stop in San Francisco has installed a large screenwhere the touch screen can be used to play the game. 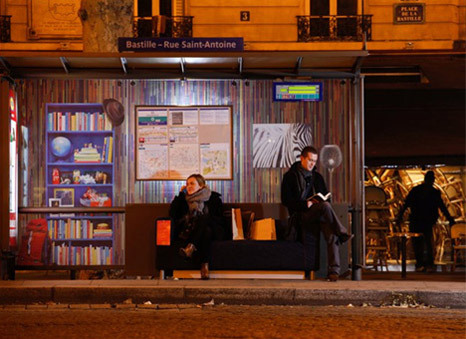 Cool again, the game provided the game online that can beconnected to the existing 20 bus stops so that buses can play anywatchman watchman against other buses at the bus stop. 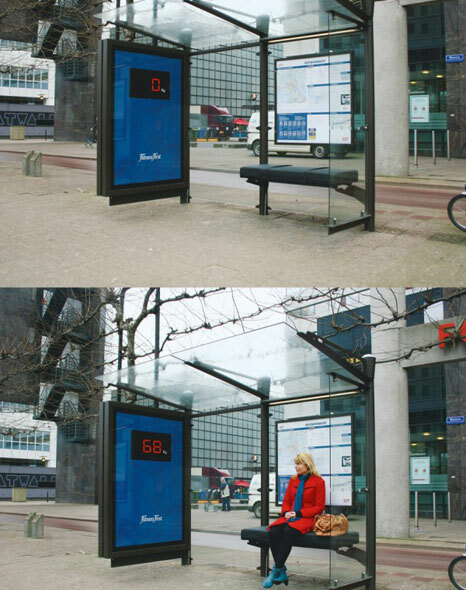 The bus stop is using solar energy and there hotspotnya gan .. 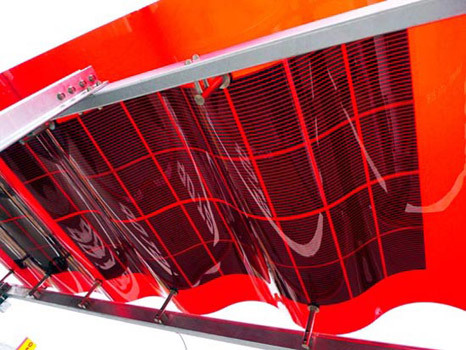 The use of solar energy is not only to turn at the stop lights andlights for the existing billboard but also as a resource for Wi-Fi(hotspot). 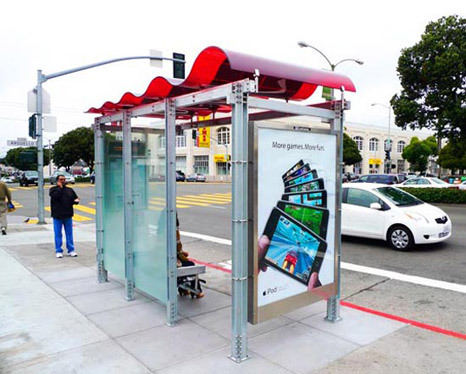 Procurement of Wi-Fi signal is expected to facilitate the bus foreach user can access the internet at every bus stop there. 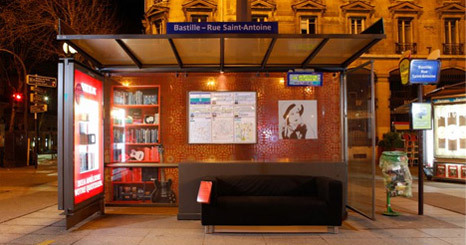 In addition to having its own energy sources, all the materials used to make the bus stop is also using recycled materials(recycled materials). 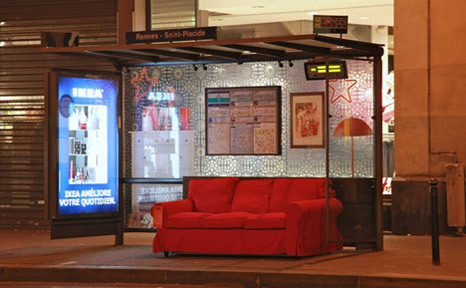 Was conducted at 12 bus stops in Paris there, IKEA turned it intothe living room that seems to make us not able to issue bus was late.